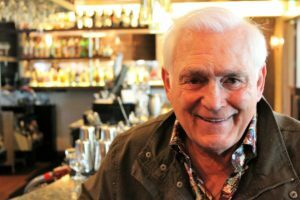 Lou Nanne is a household name in Minnesota and beyond. Legends like that can’t often be built without one key element: phenomenal parents. Nanne’s father was a grocer, and his mother owned a clothing shop. They worked long days, seven days a week in their Ontario stores. Despite their demanding jobs, the Nanne’s remained devoted and nurturing parents, always supporting their children’s activities and passions. Lou’s parents loved what they did; “it satisfied them to work hard.” It was this aspect that made the family-career balancing act possible. They faced struggle and stressors, but a deep love for their family and their jobs kept them going. Lou’s parents instilled a work ethic in him that would always remain. Not surprisingly, Lou’s high school experience was steeped in sports. He also was active in music; his mother once tried to convince Lou to quit hockey to prioritize playing in the band. When it came to determining his post-secondary plans, Lou had the world before him. Lou’s parents always encouraged their children to set high academic and professional goals. For Lou and his siblings, college was consistently on the horizon. It wasn’t a matter of if they’d go to college; it was a matter of where they’d go to college. Lou knew he’d go to college, but he wasn’t too caught up thinking about scholarships or campus tours. He dreamed of being on a senior team in Canada, but knew very little about college athletics. It was John Mariucci who first put Minnesota on Lou’s radar. He had never heard of the state, but after learning of the University of Minnesota’s top-notch dental program, Mariucci helped Lou negotiate his contracts and become a Gopher. Spoiler: Lou would not go on to practice dentistry as an occupation. Upon his arrival, Mariucci gave Lou a few pieces of advice. Mariucci told him to accept the fact that once you come to Minnesota, you’ll never leave. He also advised Lou to work hard – harder than anyone else. He also instilled in Lou the importance of never letting someone else define you. Mariucci was especially right about never leaving Minnesota; Lou’s time playing for the Gophers and attending the University of Minnesota laid the foundation for decades to come. Lou got married, graduated, negotiated his first NHL contract, and started his professional athletic career all within the state’s borders. At the time he went pro, Lou was twenty-seven years old and a father of four. He was acutely aware of the unpredictable nature of professional athletics. One injury or misstep could immediately end your career. Consequently, Lou was incredibly savvy in negotiating his NHL contract with the Minnesota North Stars. In order to get the salary he desired, Lou agreed to set up a hockey school, as well as take any and all speaking engagements the North Stars were approached for. He acted as a marketer for the team, giving speeches and making appearances whenever needed. 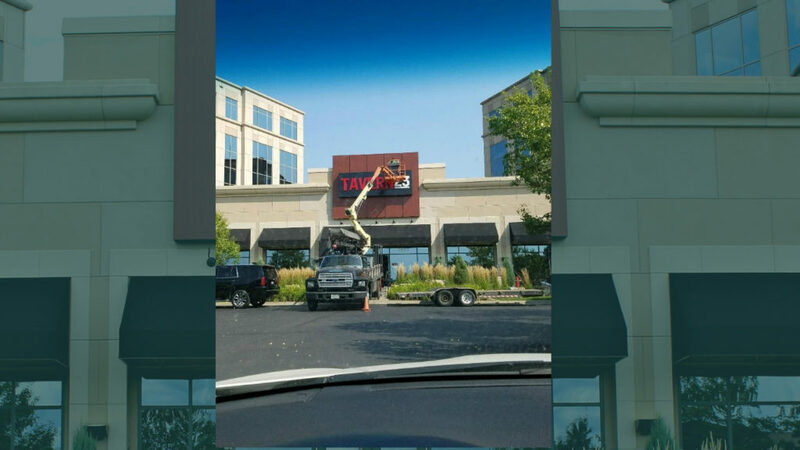 His careful negotiation and planning remained consistent throughout his career. Lou realized that his hockey playing was much like his own business. He had to guard and protect himself for anything to come. This carried into his coaching career, which began ten years into his time as a player. Lou went on to serve in a number of leadership roles beyond his management of the North Stars. Throughout the years on countless committees and boards, Lou has learned a lot about leaders and what it takes to build them. 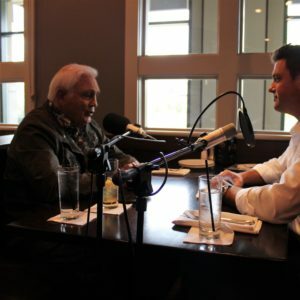 These are lessons that have carried through into the opening of Lou Nanne’s American Grill – a restaurant that reflects the values that Lou has curated throughout his hockey career. You can’t “pull” people to make them go along with an idea, Lou insists. Rather, you have to find people who truly want to be a part of what you’re doing. Not only do they have to believe in you as a leader and respect your efforts, but they also have to believe in your mission. If their hearts are not in it, everyone suffers. Lou is also a big believer in empathy as a central pillar of leadership. It has to go both ways; a leader has to treat the people around them with the same grace and understanding that they expect for themselves. Being able to understand where others are coming from is vital to cultivating success. He also argues that leaders don’t have to always lead by example; Lou thinks it’s more about the people you surround yourself with and the principles you instill. As long as you can spark initiative and motivate others to achieve their personal successes, everyone wins. When looking back at Lou’s countless accomplishments and ventures, it is apparent that he does nothing halfway. Quality and dedication are his legacy. He has created this reputation through a couple of key principles. First, Lou firmly believes that you have to love what you do to find meaningful success. Moreover, you have to believe in the purpose and mission behind what you’re doing, and continuously seek out opportunities that align with that value. 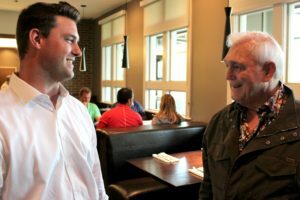 Beyond acting as proprietor to a successful local eatery, Lou also keeps busy by giving back to the community that launched his career. 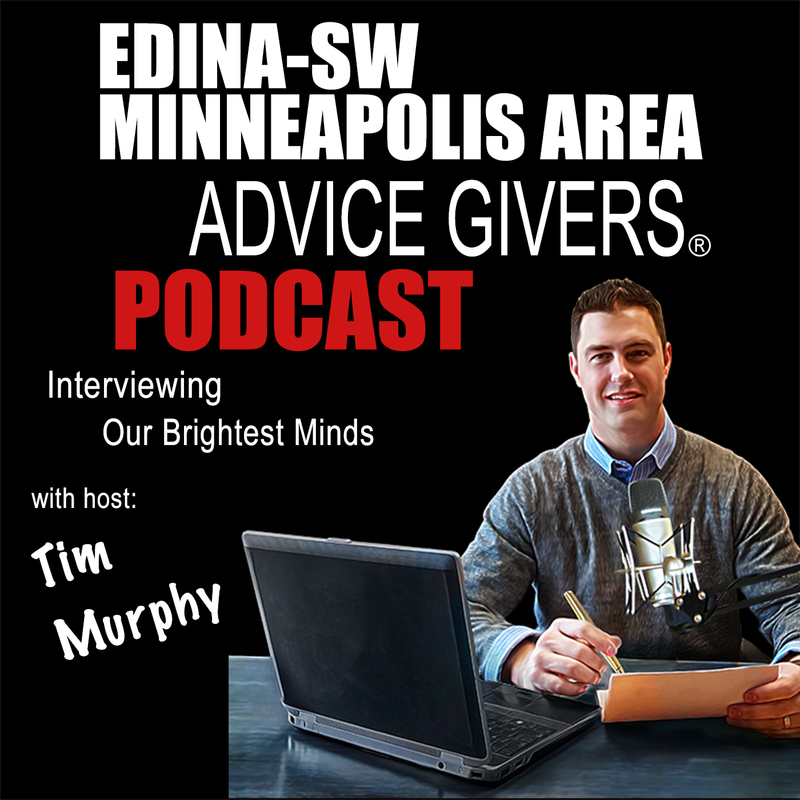 He’s acting as chairman of countless charities across the Twin Cities throughout the last decades. Recently, he has been focusing on chairing the University of Minnesota Athletic Fund. Lou draws his success back to the opportunity that the University of Minnesota gave him, and has felt compelled to give back to the institution that “touches everyone in the state in some way.” He wants the school and its athletes to stay strong. Lou is invested in the students – ones who could someday go on to be legendary like Lou.